WhatsApp is one of the most popular messaging service with hundreds of millions of users. The company hasn’t introduced a PC client for WhatsApp yet and the limitation to use WhatsApp with only one phone number on a device, makes it pretty unusable on dual-SIM phones. Though, one can anytime give their number to whomever they want to connect with over WhatsApp but that isn’t convenient for users who manage different numbers for their business and personal contacts. Lately, majority of high-end Android smartphones with dual-SIM support are being introduced prominently, specially in markets like India where users tend to use multiple mobile networks. Now if you have a Dual-SIM Android phone and want to use WhatsApp on both the phone numbers, then there is an easy workaround for that. This is possible using OGWhatsApp, a modded version of official WhatsApp for Android that lets you run dual WhatsApp account on a single Android phone. It works together at one time, has exact same UI, and works without rooting. The app is courtesy of XDA Developers forum member OsamaGhareeb. NOTE: You can use 2 WhatsApp accounts simultaneously with 2 different phone numbers on one Android phone or tablet (with 3G facility), only if it supports dual-SIM or if you swap in one out of the 2 SIMs. That’s because WhatsApp verifies your phone number during setup. 1. Take a backup of your WhatsApp messages and data. Click Here to Download "OGWhatsApp"
5. While setting up OGWhatsApp, enter the old number that you were using earlier with official version of WhatsApp. It will provide an option to restore the data, restore if you want. 6. Then install the official version of WhatsApp Messenger app from Google Play. While configuring it, enter the new number and verify. That’s all! 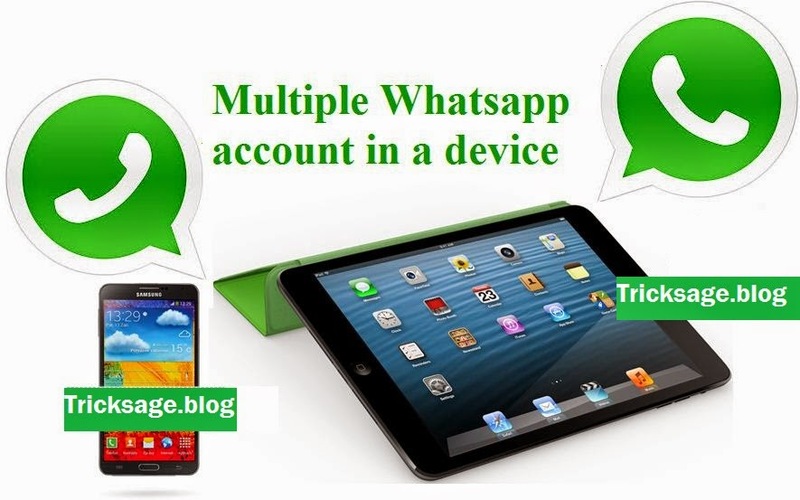 You can now use 2 WhatsApp accounts on one device and both of them will work independently. OGWhatsApp will be limited to first number and WhatsApp to second one.Hope you found this post useful.